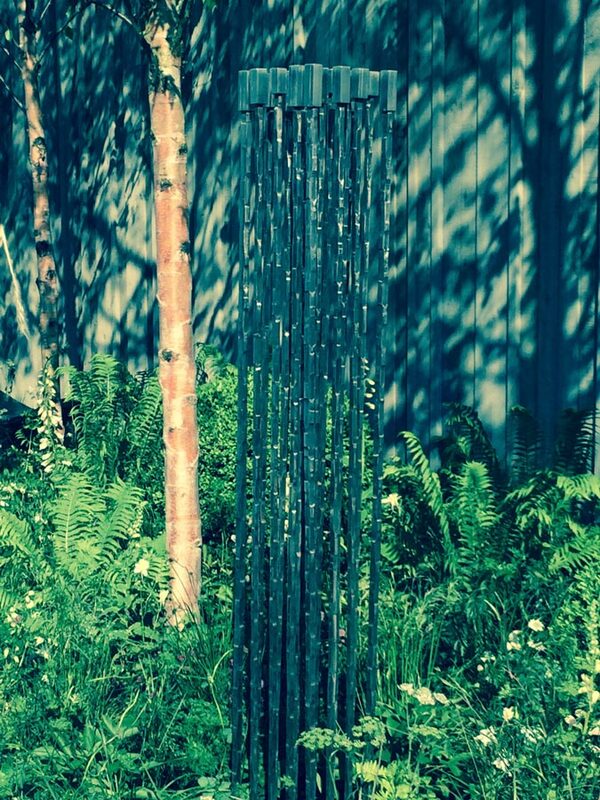 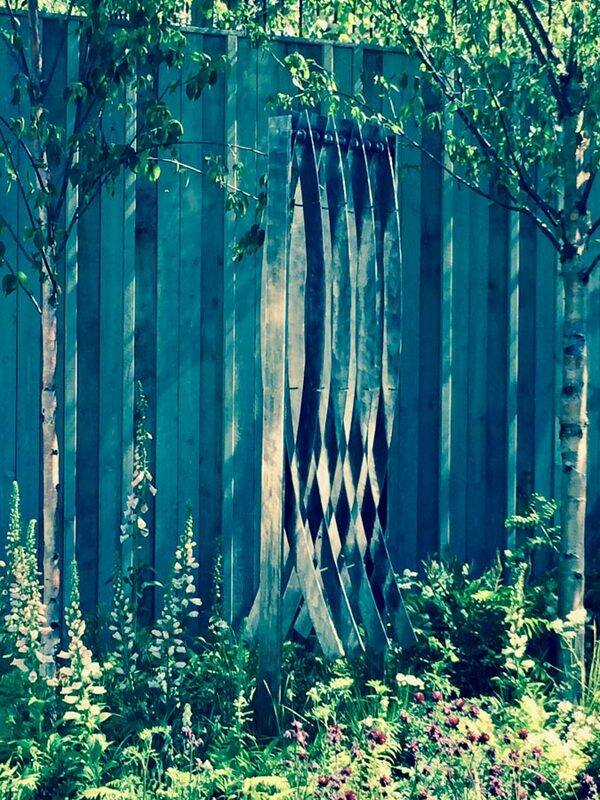 In 2014 Hambro was commissioned to make 2 sculptures to be incorporated in the garden of one of the winning exhibitors. 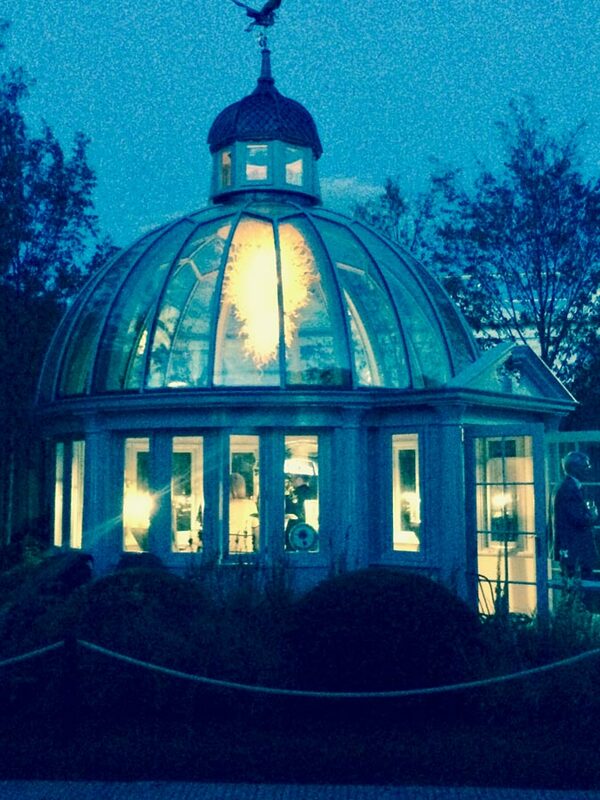 The client’s structure Khora was an imposing circular domed winter garden. 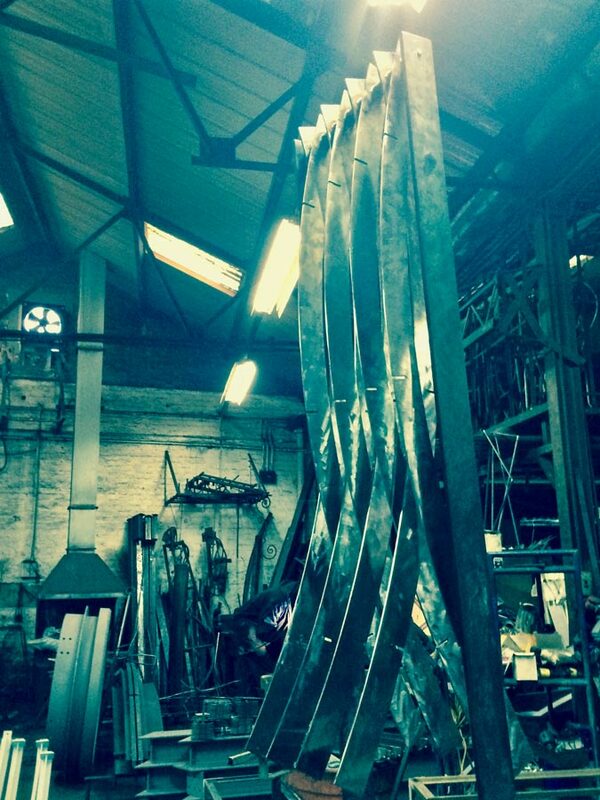 Hambro created two dramatic, minimalist steel sculptures, these environmental works were imposing yet restrained. 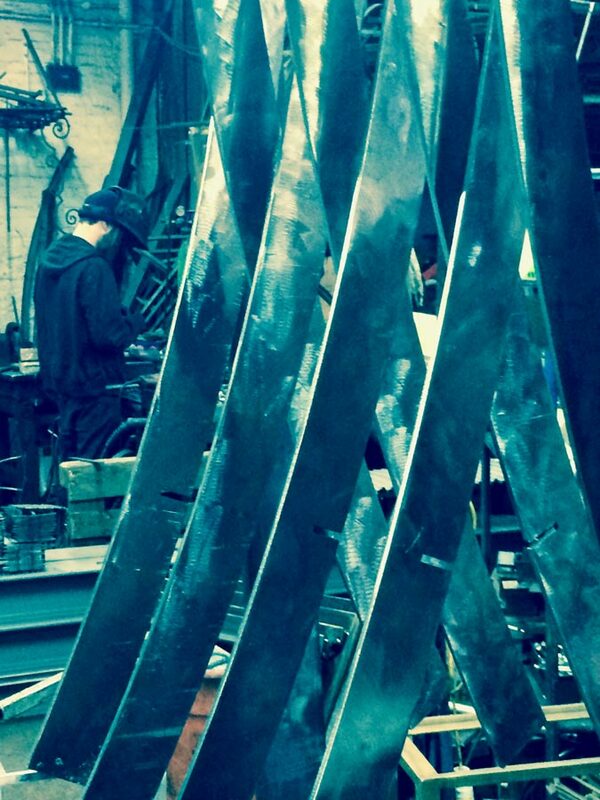 Pendular Curvature is a dramatic grouping of arched steel elements with kinetic qualities. 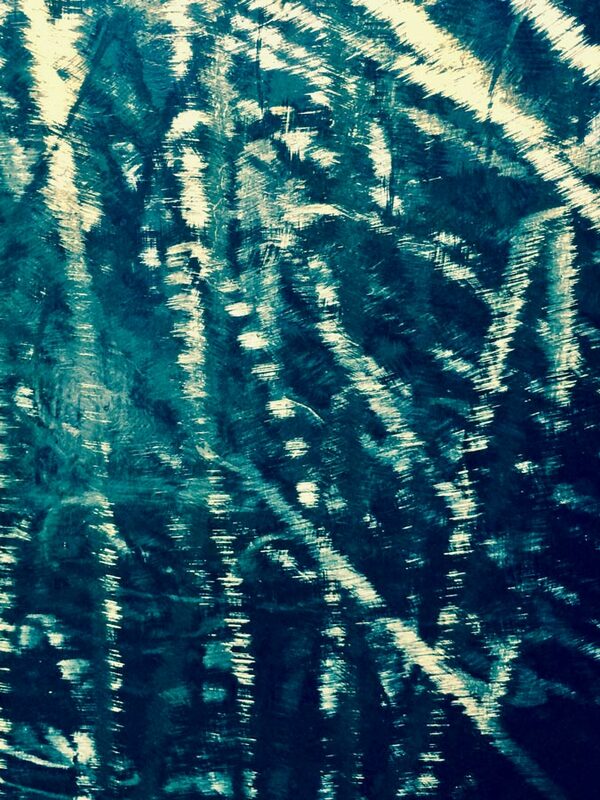 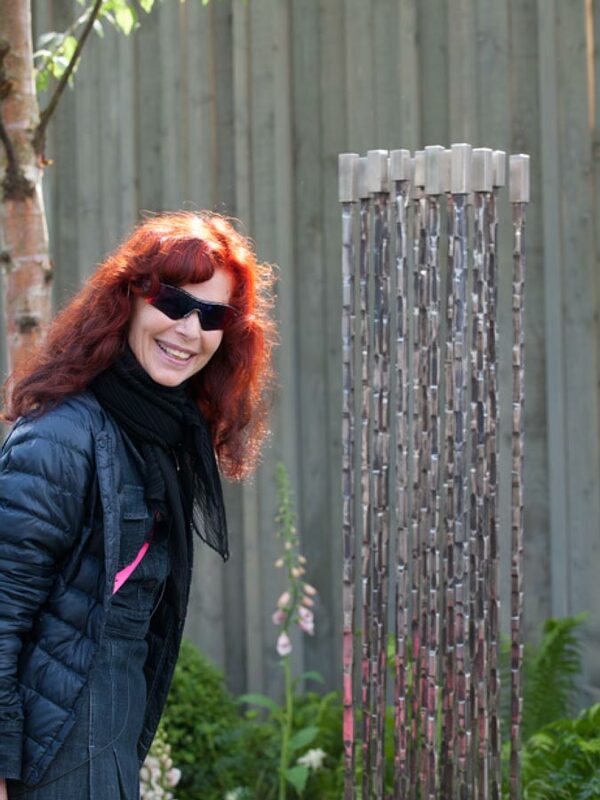 Random Rhythm is a stylised interpretation of bullrushes, a grouping of tall parallel stainless steel rods which when stroked create motion and sounds as they strike randomly against each other.